Microsoft seems intent on sanding away the Xbox brand's rough edges before launching the One this November. Following the recent switch from its arcane points system to local currency for digital purchases, Redmond has subtly changed up where you'll spend that money. What we used to know as the Xbox Live Marketplace is now the Xbox Game Store. It's clean, simple and we're pretty sure Sean Parker would approve. Oddly, in the US the web storefront reads "Xbox Games," but it says "Xbox Game Store" in the UK. Whatever -- as long as we can buy real-world presidents for Saint's Row 4, we're not too worried about the name of the store. Alt-week takes a look at the best science and alternative tech stories from the last seven days. Some things become obsolete, some things rise to live again. Two of our stories over the fold demonstrate new tricks from old dogs. The third? Just, y'know, suggests that we're all actually from Mars. No biggie. 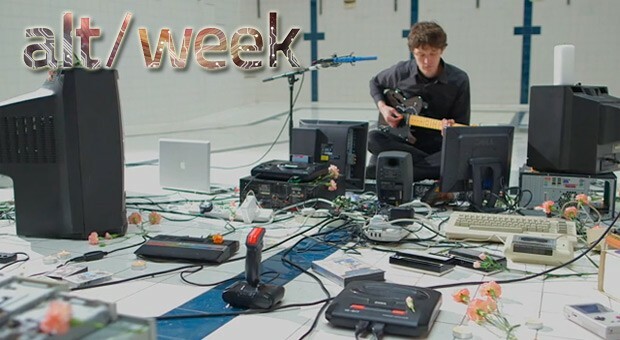 This is alt-week. Hereâs a wristband that records everything! 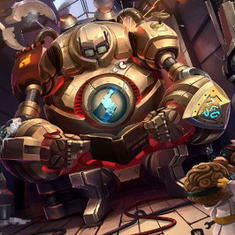 So, you want to be a better League of Legends player, do you? You're not the only one. Everyone wants to improve - it's human nature to want to be better at something. As such, there's a whole host of sites online dedicated to the slow climb through the ranks. Whether you are traveling or camping there can be a lot of concern about the quality of the water you are drinking and what you might actually be drinking along with it. Whether the concern is for bacteria, viruses, or protozoa you can clean your water quickly and easily with a SteriPEN Ultra Portable Water Purifier. 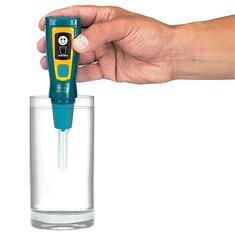 It purifies 16 ounces of water in less than 60 seconds. We’ve featured a sound system called the Transparent Speaker, which really only has a glass case. 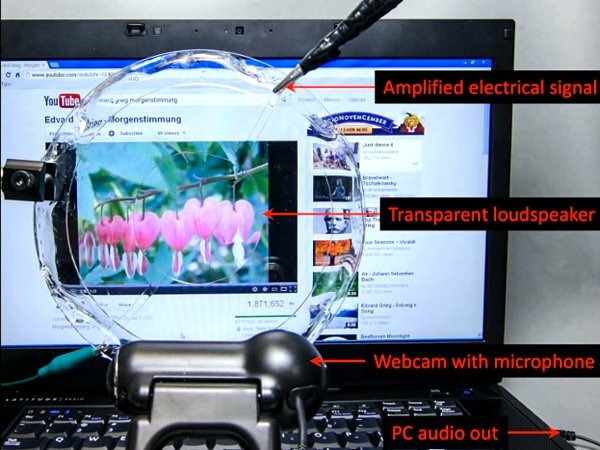 Two post-doctoral fellows at the Harvard School of Engineering and Applied Sciences (SEAS) made an actual transparent speaker. It’s stretchable too. But the loudspeaker is not an electronic device; it’s an ionic device. 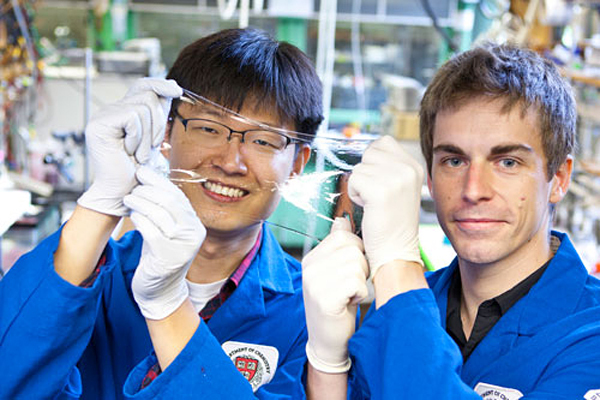 Instead of electrons, Jeong-Yun Sun and Christoph Keplinger’s speaker uses ions in an electrolyte to transport electric charge. The speaker is made of a thin and transparent sheet of rubber sandwiched between two layers of polyacrylamide gel filled with saltwater. When a high-voltage current is passed through these layers, the rubber sheet acts as a diaphragm. Harvard SEAS reports that this clear device can produce any sound in the “entire audible spectrum”, from 20Hz to 20KHz. With that kind of potential, it’s not surprising that there have been previous efforts to make ionic conductors for practical use. Harvard SEAS explained that ionic conductors are prone to undergoing chemical reactions – including, uhm, combustion – when exposed to high voltage, and that ions move slower through a circuit compared to electrons due to their size and weight. Fortunately, Sun and Keplinger’s ionic conductor “overcomes both of these problems.” You can read the full report on Harvard SEAS’ website. 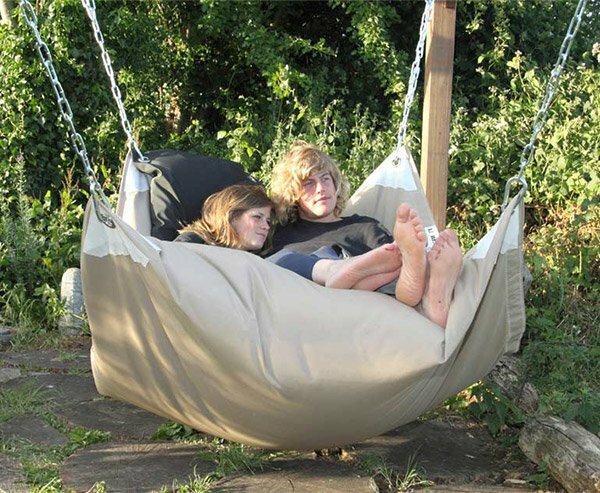 What do you get when you combine a beanbag with a hammock? Le Beanock is the answer. 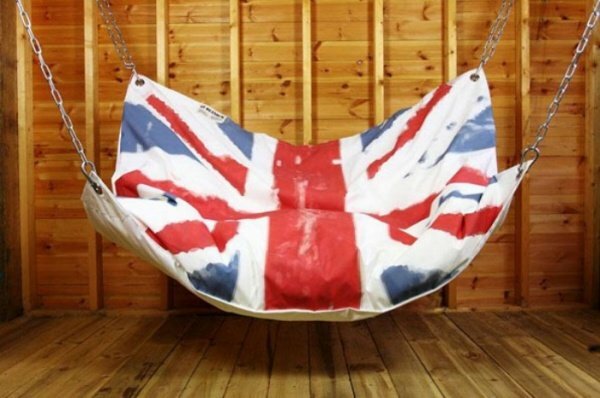 Hammocks are already comfortable enough as they are. But adding the cushy comforts of a beanbag? Sheer genius! Le Beanock is essentially a suspended beanbag. It’s slightly thinner than your average beanbag, either because the filling is all spread out or because you won’t be able to sit or lie down on it all if it’s too bulky. It’s the ultimate backyard set-up where you can get infinite cuddle times and have the most comfortable naps ever. Prices for Le Beanock start at about $315(USD) and go up from there. They can be customized and can be shipped flat-packed so you can save on shipping. As IFA starts to slowly edge its way over the horizon, the product teasers start to rain. We've already seen hints from Sony, an outright admission from Samsung, and speculation from HTC. 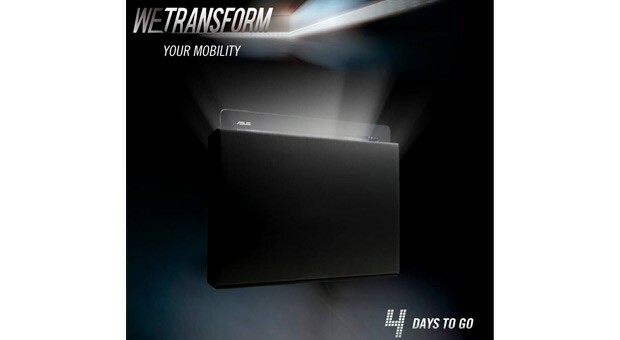 The latest tidbit, comes via ASUS's Facebook, which suggests it plans to show a new tablet at the event. What can we say about it? Well, odds on it's another Transformer Pad, running Android, and if you're into numerology (and consistency), Tegra 4 inside. Coincidentally, an unknown ASUS tablet (pictured after the break) with model number K00C popped up at the FCC last week, revealing little more than the usual WiFi and Bluetooth radios, and a display somewhere around 10-inches. Though the description of it as a Transformer Pad could indicate that whatever its exact configuration, it's arrival in the US won't be that far out. Move over Starbucks and Red Bull! Two San Francisco-based entrepreneurs have developed an energy drink that's not at all palatable: in fact; in spray form, this caffeinated concoction is absorbed through your skin. The product, Sprayable Energy, is packaged in an attractive pocket-sized spray vial, is now seeking crowdsource funding through indiegogo. The Game of Thrones opening credits are just begging to have someone build a real-world replica. Just imagine a wooden version of the keep at Winterfell as a model with moving pieces that you could buy. How awesome would that be? You could buy the buildings separately and put them all together. 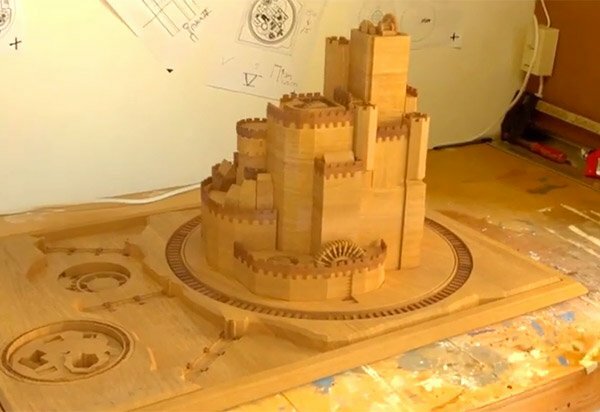 Well, Max and Tijn Berends have made a wooden expandable castle shown in this video. Okay, not really. It’s not real. They made it look real by using Blender 3D to create a digital castle. It’s a neat trick. Don’t get your hopes up that they will re-create the whole intro. This building took about three months to create by itself. If you’d like to play with the model, animations and textures for yourself, you can grab the Blender 3D files here.